Hyakkaou Private Academy is a prestigious institution for the privileged, which was first established 122 years ago. The students there are ranked by their gambling winnings. The winners receive everything including fame and fortune. The winners also dominates the losers. One day, female transfer student Yumeko Jabami (Minami Hamabe) arrives at Hyakkaou Private Academy. Yumeko Jabami has a pretty appearance, but she is a gambling maniac who loves high stakes. 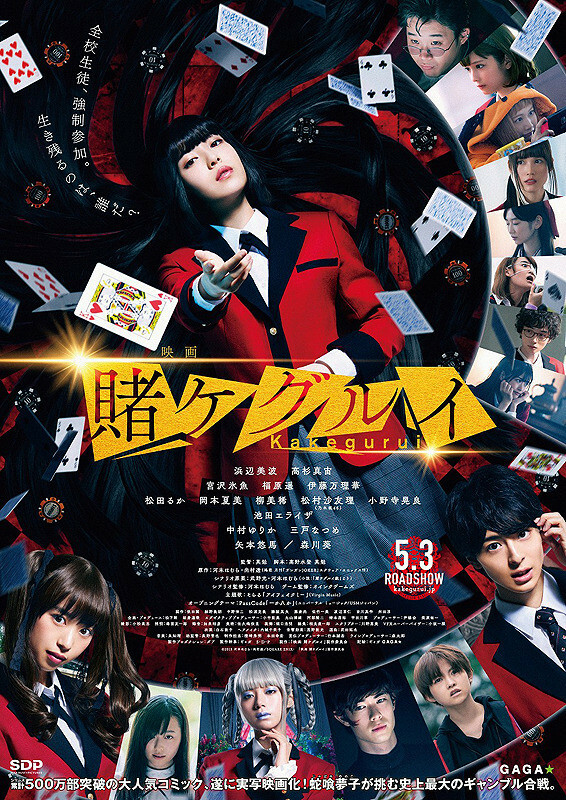 Based on manga series "Kakegurui" by Homura Kawamoto (writer) & Toru Naomura (illustrator) (first published 2014 in magazine Gekkan Gangan Joker). The Shahrukhee Feb 22 2019 11:11 am No Taishi?? Yanagi Feb 14 2019 9:11 pm Is this like the condensed version of the series or is this different?